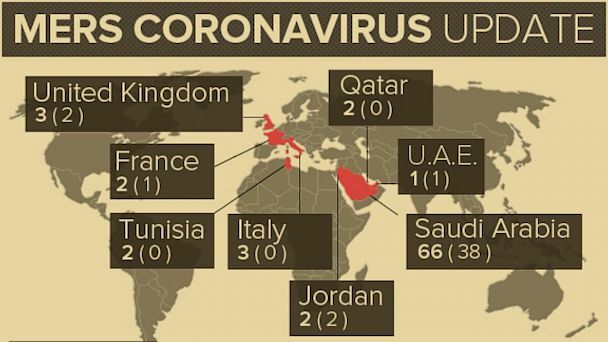 Grappling to find out ways to treat the Middle East Respiratory Syndrome Corona virus (MERS CoV), which has claimed 45 lives in the Middle East, the Centre has asked all the states to treat patients, if diagnosed, symptomatically. The virus is in circulation since September 2012, though no cases have been detected in India so far. The Union health ministry circular mentions the virus's global spread as "worrisome". But it does state how a patient should be treated if diagnosed with MERS CoV. The BMC, like most other corporations, was waiting for some clarity on the treatment protocol. Infectious disease expert Dr Om Srivastava, who is currently working on a protocol for the civic-run Kasturba Hospital, said by symptomatic treatment, the Centre meant that the patient should be treated with Oseltamivir that takes care of flu-like symptoms. "But we still know little or nothing about how to treat, or for how long, when to discharge,etc, about the virus," he said. Kasturba Hospital will function as an isolation centre, like it did during the H1N1 pandemic. A civic official said the only brief given to doctors is to look out for unusual manifestation of respiratory problems. "If a patient does not respond to standard treatment for respiratory treatment, doctors should suspect MERS," the official said. Doctors have to send samples from the suspected patient to the National Institute of Virology, Pune. Doctors are also supposed to suspect patients with a travel history to the Middle East, especially Saudi Arabia, which has reported 38 of the 45 deaths so far. The circular also states that those in close contact with infected individuals should be screened for symptoms. Of the 85 cases, only five have been detected from outside the middle eastern countries.The World Health Organization on Thursday announced that MERS, though serious, does not yet constitute a "public health emergency of international concern". Health care providers have been advised to maintain vigilance. The WHO also stated that clinicians should be reminded that MERS-CoV infection should be considered even with atypical signs and symptoms, such as diarrhea, in patients who are immunocompromised.